The holiday spirit comes alive this summer as Central Coast Council delivers activities and events at The Entrance, from Christmas Eve through to Australia Day. 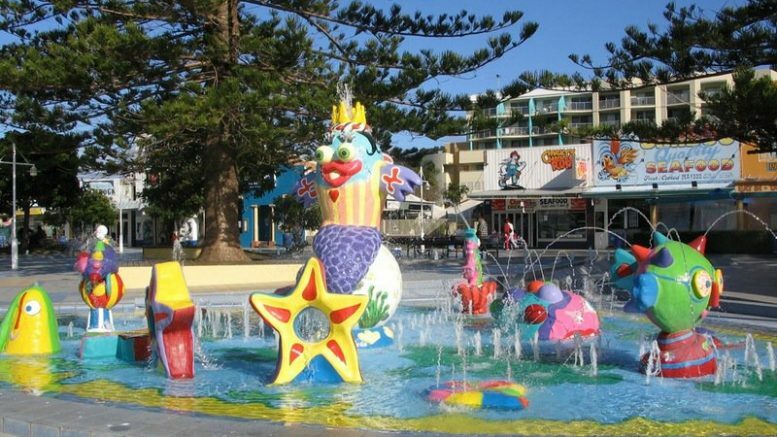 Central Coast Council Director, Connected Communities, Ms Julie Vaughan, said The Entrance is set to shine with a fun packed summer of events aimed at entertaining the whole family. “The annual Christmas Eve and New Year’s Eve celebrations at The Entrance are the perfect opportunity to bring family, friends and the community together to celebrate the end of another year,” Ms Vaughan said. “Join in the magic of Christmas with a visit from Santa, and special guests performing favourite Christmas Carols, live on stage, on Christmas Eve. Carols by Candlelight will take place on Sunday, December 24. “Bring a picnic rug and your best singing voice to Memorial Park, from 6pm, and join in an evening singing along to the Christmas classics, followed by a spectacular fireworks display at 9pm,” Ms Vaughan said..
“There will be special appearances by Elmo and the Cookie Monster, Spencer Jones, and the jolly man himself, Santa. “Relax again in Memorial Park, from 6pm on New Year’s Eve, with free live entertainment from headlining ARIA award winner, Sarah McLeod, Bravo Victor, and Central Coast all-girl trio, Little Quirks. “Don’t miss another fireworks display at 9pm,” Ms Vaughan said. There will also be a food alley, where visitors can sit, dine and take in the festive atmosphere. Road closures and traffic diversions will be in place from 3pm to 11pm. From January 10-12, Nick Jr.’s PAW Patrol Ready for Action Show is coming to Memorial Park, with daily shows at 11am, 12pm and 1pm. From January 15-17, there will be seven Sand Sculpture Activity Workshops each day along the Waterfront Plaza from 10am. From January 19-20, Sand Sculptures will be on display in the Waterfront Plaza. On Australia Day, January 26, Memorial Park will be the place to be seen with heaps of free activities from 12pm-9pm.